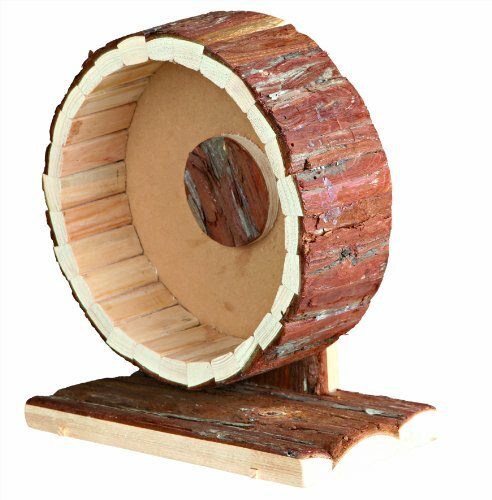 This Natural Living wooden hamster wheel, made by Trixie, is a very popular choice! 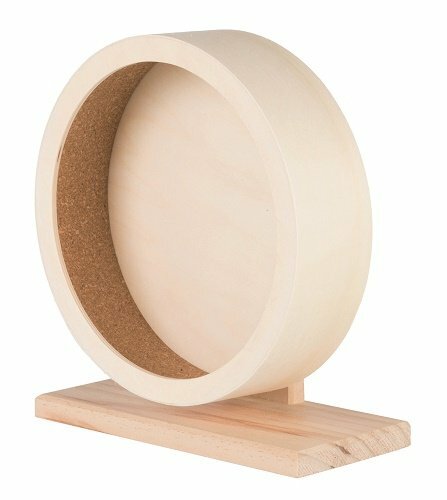 Unlike some other types of wooden hamster wheel, this 20cm diameter beauty uses ball bearings in it's spindle to help ensure it rotates nice and quietly! Your hamster's safety is of utmost importance and so the solid running surface on this wheel is ideal. It also provides good grip so your hamster is unlikely to stumble and fall. The closed rear wall of the wheel and rounded wooden edges also add to it's clever safety features. 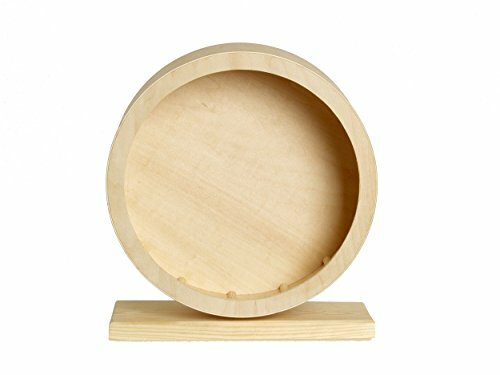 This wooden hamster wheel sits proudly on a robust wooden stand to ensure it's fully stable when in use.